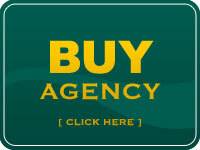 Click here if you would like to sell your Agency or Book of Business and need assistance. 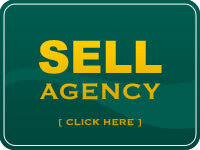 Are you planning to sell your Insurance Agency or Book of Business? Are you thinking about the possibility of selling? MARKETING: MKL will Market and advertise your Insurance Agency or Book of Business to general public while keeping your business name confidential as well as prospect existing buyers in our database list to find a match to your Insurance Agency. NEGOTIATION: MKL will Assist throughout entire process which consists of showing your agency, reviewing letters of intent, preparing purchase and other agreements for review by your attorney and CPA. CLOSING: MKL Communicates with Escrow, Buyer, Seller, Lender and other parties involved to ensure your transaction stays on course to a successful close. MKL is a full service Business Broker and assists Insurance Agency Owners in selling their Agencies or their Books of Business in all 50 States. We are licensed Insurance Brokers as well as Business Brokers and have many years of experience in the insurance industry and understand what you, the Agency Owner goes through on a daily basis. If you are planning to sell your Insurance Agency or would like to grow your business by acquiring other agencies, MKL is the company you should consider working with.